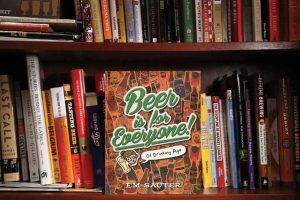 It took Herz and co-author Gwen Conley three years to write their book, Beer Pairing: The Essential Guide from the Pairing Pros. One book critic actually said that every meal you eat without this book is an opportunity lost. But don’t let that last sentence intimidate you, the book is really fun. 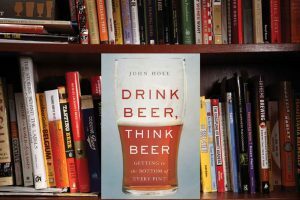 Think of it as a “beer and food tasting workbook” that takes you on a journey to understand why certain combinations of beer and food appeal to you. 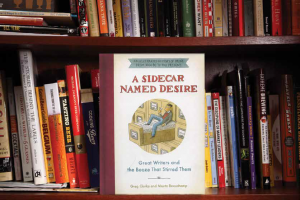 There is even an entire chapter devoted to that journey called ‘Palate Trips’. This workbook-for-your-senses uses beer and food as educational props. But unlike the text books you used in grammar school, there is no right or wrong answer. “We each have the power to properly pair based on what is pleasing to our individual palates. Screw what anyone else says. If you like it or not, that’s what should carry the day,” said Herz in a recent interview. In other words, you won’t get an F in her class. Beer Pairing: The Essential Guide from the Pairing Pros is available at Amazon.com. It retails for $15.95.